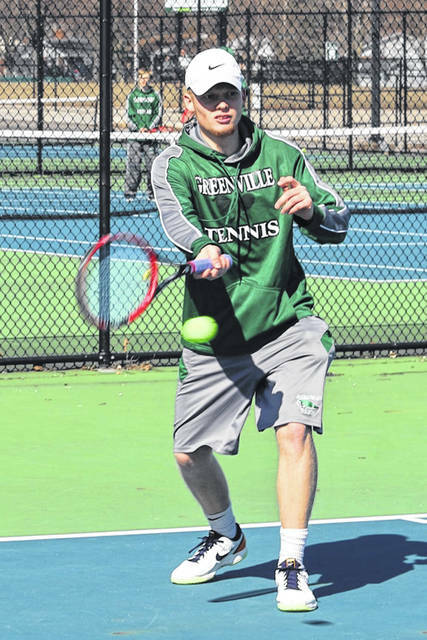 Landon Muhlenkamp returns a volley in tennis doubles in Greenville’s 5-0 team win over Stebbins. 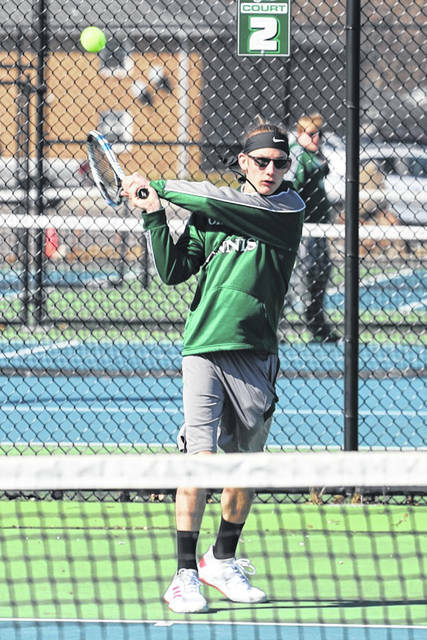 GREENVILLE – The Green Wave varsity boys tennis team moved to 2-0 on the new season defeating the visiting Stebbins Indians 5-0 in a Tuesday night home match following a Monday night season opening 3-2 win over Wapakoneta. 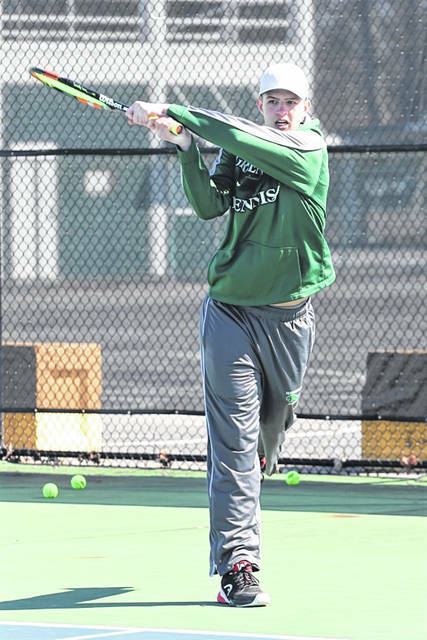 Branson Leigeber gave Greenville a win at second singles beating Stebbins’ Hawkins Parker by scores of 6-2, 6-1 to move Leigeber to 2-0 on the year. At third singles, Wave sophomore Jiahao Zhang defeated Hawkins Parker 6-1, 6-0 to give Greenville a sweep at singles on the night. 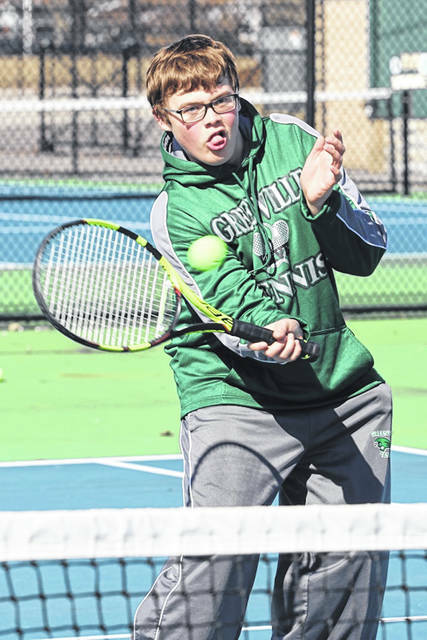 The Greenville squad continued to dominate on the court by sweeping Stebbins in doubles. 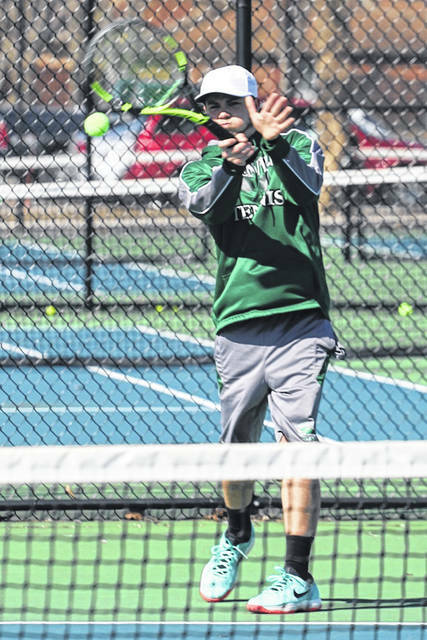 Greenville’s Josh Galloway and Landon Muhlenkamp beat Bryson Owens and Matt Knospe 6-0, 6-0 at first doubles to move to duo to 2-0 on the season. 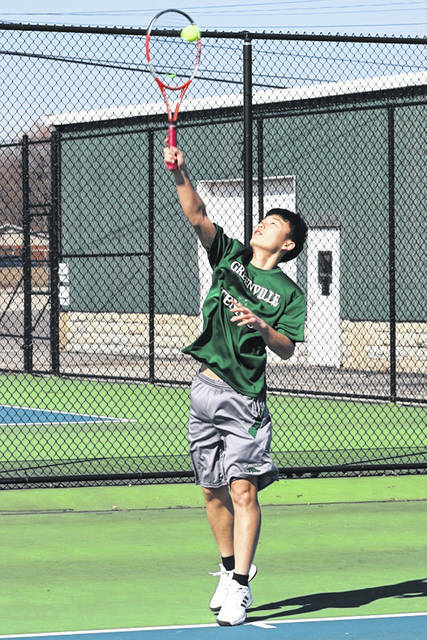 Pablo Badell and Eric Price also advanced to 2-0 on the season at second doubles for the Green Wave by defeating Stebbins’ Ant Quach and Ray Zheng 6-0, 6-1. Junior varsity matches on the night had Logan Witwer and Jimmy Normile winning at singles for Greenville. 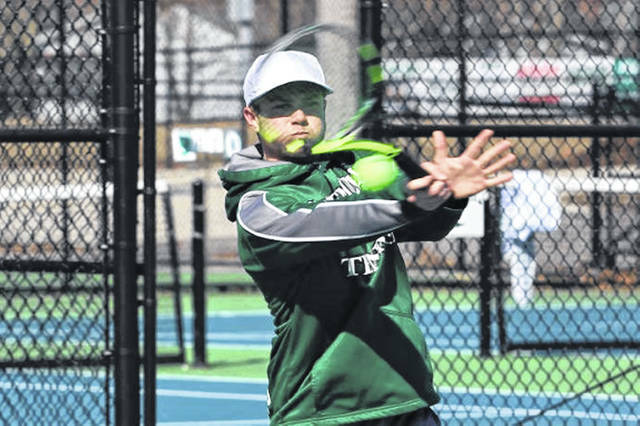 https://www.dailyadvocate.com/wp-content/uploads/sites/34/2019/03/web1_Muhlenkamp.jpgLandon Muhlenkamp returns a volley in tennis doubles in Greenville’s 5-0 team win over Stebbins.